Independent bookshops continue to survive and thrive for many reasons - passion, events, community, stubbornness (!) but mostly because we constantly look at the vast number of books published and curate and select those books we feel deserve the opportunity to be browsed and discovered. You're busy, we know. And we want to help. So in the run-up to Christmas we are here to tell you about those books we feel will make great gifts, and will entertain and delight over the festive period. And don't forget - if nothing here is quite right, we are ready with individual recommendations for you and your family - just ask! We like nothing better than to get up close and personal with famous people at Christmas, whether they be astronauts or authors, alive or dead. 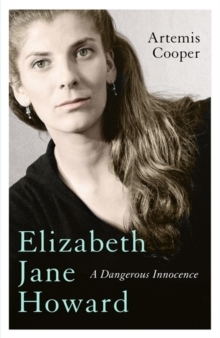 Here's this year's pick of our favourite biographies for Christmas! Elizabeth Jane Howard, who died in 2014, wrote brilliant novels about what love can do to people. She is best-known for The Cazalet Chronicles, whose stature and fondness amongst readers continue to grow. But lasting relationships and happiness in her own life eluded her. Artemis Cooper (who's biography of Patrick Leigh Fermor was one of our favourites in 2012) was a family friend, who interviewed Howard several times at the end of her life, and in this stellar biography, looks at how Howard's writing life developed even as her own relationships didn't. Following her divorce from her first husband, the celebrated naturalist Peter Scott, Jane embarked on a string of high-profile affairs with Cecil Day-Lewis, Arthur Koestler and Laurie Lee. Yet the image of a sophisticated woman and literary 'femme fatale' hid a romantic innocence which clouded her emotional judgement. She was nearing the end of a disastrous second marriage when she met Kingsley Amis, and for a few years they were a brilliant and glamorous couple - until that marriage too disintegrated. Late in life, at 73, she had a close shave with a con-man who tried to inveigle his way into her life. This is a sensitive but unsparing look which explores the literary world of the time as much as a woman making sense of her life through her writing. Almost everything we think we know about Jane Austen is wrong, according to Austen expert Helena Kelly. 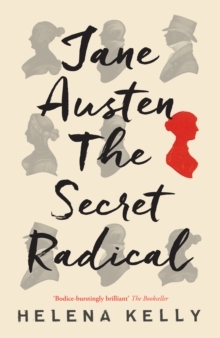 And she makes a powerful - and extremely readable - case that Austen wove radical ideas amongst the entertainment that were bold, thought-provoking, and which her readers were probably not consciously aware. Kelly introduces the reader to a passionate woman living in an age of revolution; to a writer who used what was regarded as the lightest of literary genres, the novel, to grapple with the weightiest of subjects - feminism, slavery, abuse, the treatment of the poor, the power of the Church, even evolution - at a time, and in a place, when to write about such things directly was seen as akin to treason. Discover a radical, spirited and political engaged Austen - and you'll never look at her books in the same way again. 2016 has been a bad year for - well, plenty of things, let's face it - but we've certainly lost a fair few beloved actors, writers and musicians this year. 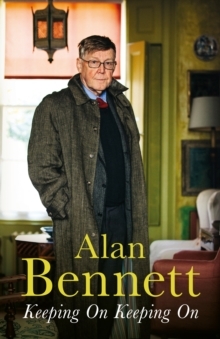 However, we can still be thankful for those national treasures that are still with us - and Alan Bennett must be right near the top of the list. 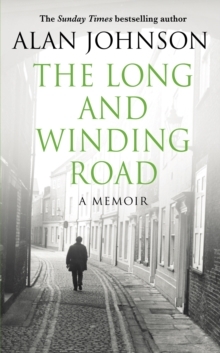 'Keeping On Keeping On' is his third collection of prose (after 'Writing Home' and 'Untold Stories') and contains Bennett's peerless diaries from 2005 to 2015, reflecting on a decade that saw four premieres at the National Theatre, a West End double-bill, and the films of The History Boys and The Lady in the Van. There's a provocative sermon on private education given before the University at King's College Chapel, Cambridge, and 'Baffled at a Bookcase' offers a passionate defence of the public library. Politics as you've never seen it before, another Beatles title - and the third volume in Alan Johnson's multi-award-winning political memoirs takes us up to the Tony Blair years. From the condemned slums of Southam Street in West London to the corridors of power in Westminster, Alan Johnson's autobiography charts an extraordinary journey, almost unimaginable in today's Britain. Alan's early political skirmishes as a trades union leader, his negotiating skills and charismatic style, soon came to the notice of Tony Blair and other senior members of the Labour Party. Alan was chosen to stand in the constituency of Hull West and Hessle, and entered Parliament as an MP after the landslide election victory for Labour in May 1997. Supporting the struggle of his constituents, the Hull trawlermen and their families, for justice comes more naturally to Alan than the byzantine complexities of Parliamentary procedure, but his success there sees him rise to the office of Home Secretary in 2009. Candor and humour, passion and sacrifice - a remarkable story. The journey to Westminster might be difficult, but the journey into space is one that is still proving stubbornly difficult for our species. 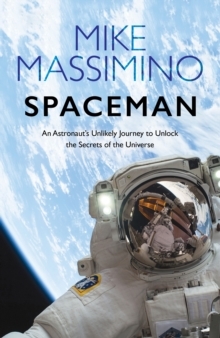 Mike Massimino's memoir takes us on an inspiring journey where the nerdiest science meets the most thrilling adventure to reveal what 'the right stuff' truly is. Many of us dreamt of becoming an astronaut as children, but Mike kept being rejected by NASA. When they told him his eyesight was poor, he trained his eyes to be better. And finally, at the third time of asking, NASA accepted him. So began an 18-year career as an astronaut, including the emergency repair of the Hubble telescope - and the first flight of the Space Shuttle after the Columbia tragedy. A tale of hard-work, passion, guts and determination - and musings on the future of international space collaboration in an increasingly uncertain world. 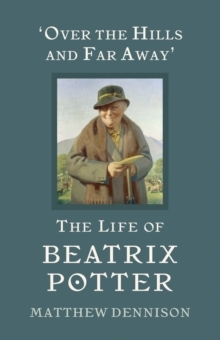 Beatrix Potter is one of the most cherished and recognisable children's authors around the world, yet how she achieved this legendary status is less well known. Inspired by the twenty-three 'tales', Matthew Dennison takes a selection of quotations from Potter's stories and uses them to explore her multi-faceted life and character: repressed Victorian daughter; thwarted lover; artistic genius; formidable countrywoman. In doing so, they chart chart her transformation from a young girl with a love of animals and fairy tales into a bestselling author and canny businesswoman, so deeply unusual for the Victorian era in which she grew up. With photographs from Potter's own life, this little gem of a book is a delight and inspiration for a woman truly ahead of her time. From his years serving in British Intelligence during the Cold War, to a career as a writer that took him from war-torn Cambodia to Beirut on the cusp of the 1982 Israeli invasion, to Russia before and after the collapse of the Berlin Wall, John le Carre has always written from the heart of modern times. In this, his first memoir, le Carre is as funny as he is incisive - reading into the events he witnesses the same moral ambiguity with which he imbues his novels. Celebrating New Year's Eve with Yasser Arafat, or interviewing a German terrorist in her desert prison in the Negev. Watching Alec Guinness preparing for his role as George Smiley, or describing the female aid worker who inspired the main character in his book The Constant Gardener; le Carre endows each happening with vividness and humour, now making us laugh out loud, now inviting us to think anew about events and people we believed we understood. 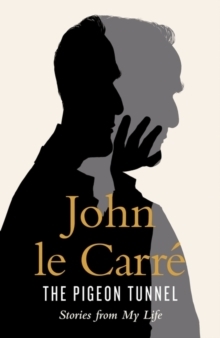 Best of all, le Carre gives us a glimpse of a writer's journey over more than six decades, and his own hunt for the human spark that has given so much life and heart to his fictional characters. Tim Moore is a a brilliant writer, totally bonkers and very, very funny - and that's all the recommendation you need to read this incredible memoir. Having already written about his tour around Italy, following the path of the Italian 'Tour of Italy 2014' on a replica bicycle from the era (in the brilliant 'Gironimo! 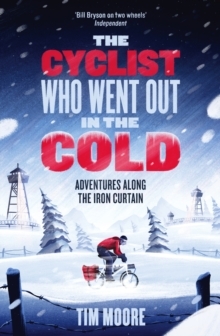 '), Moore takes his penchant for masochism and authentic velocipederie (if that's even a world) to new heights (or depths) in 'The Cyclist Who Went Out in the Cold'. Tim Moore tackles the 9,000km route of the old Iron Curtain on a tiny-wheeled, two-geared East German shopping bike. No, really. After three months, 20 countries and a 58-degree jaunt up the centigrade scale, man and bike finally wobble up to a Black Sea beach in Bulgaria, older and wiser, but mainly older. Descriptions of him as 'Bill Bryson on two wheels' are spot on, as Tim reflects on communism, and the ghosts of the Cold War that threaten to return. An incredible - if utterly mad - achievement. Beryl Bainbridge by Brendan King reveals the life and passions of one of our most acclaimed writers - nominated five times for the Booker Prize - who died in 2010. Thatcher Stole My Trousers by Alexei Sayle - considered by many as the inventor of alternative comedy, this is Alexei Sayle's memoirs of his central role in The Comedy Store, the Comic Strip - and The Young Ones. Sayle appreciates the supreme irony of his life as someone innovative and entrepreneurial - someone Thatcher herself would have applauded! Born To Run by Bruce Springsteen - one for fans to treasure, written himself, and charting his life from his Catholic upbringing, his political activism, and his performing on the biggest stages around the world. Still looking for inspiration? Take a look at our recommends from 2015, including Brian Blessed, Maggie Smith and Ranulph Fiennes.